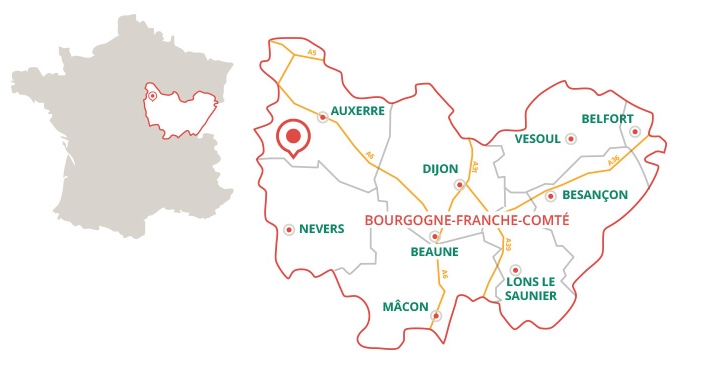 The Puisaye-Forterre territory is ideally located in western Burgundy, between the valleys of the Yonne and the Loire and combines the departments of Yonne and Nièvre. 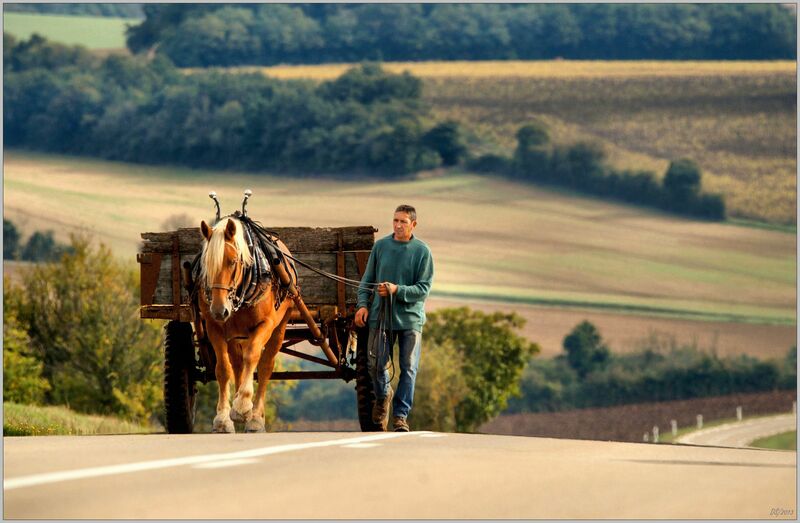 Located a few steps from the great vineyards of Bourgogne and the cities of Auxerre, Vezelay and Sancerre. Only 1h45 away from Paris. 1h45 from Paris/ 1h30 from Orléans/ 1h40 from Beaune / 2h00 from Dijon / 3h00 from Lyon. From the North: A6/E15 and take the exit number 17 at Courtenay or 18 at Joigny. From the East: A6/E15 and take the exit number 19 at Auxerre nord or 20 at Auxerre sud. 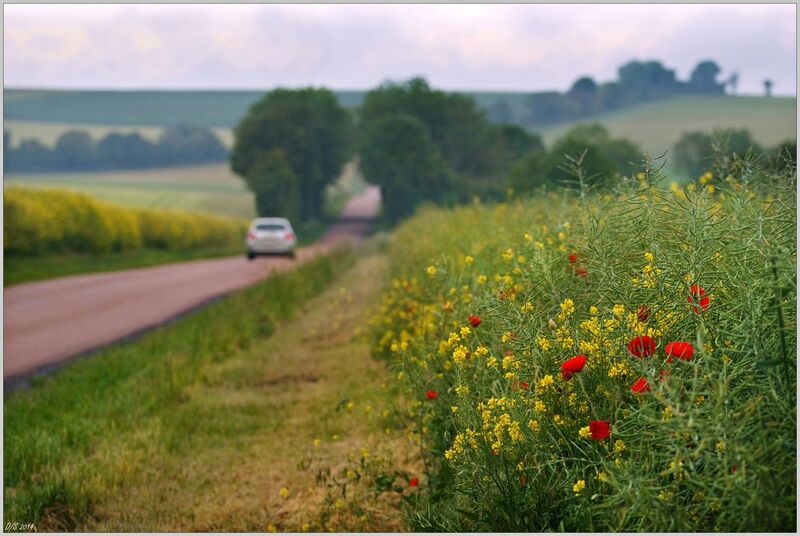 From the West: A77 and take the exit number 22 at Cosne sur Loire or Bonny sur Loire. Need to rent a car ? Check the nearest sixt agency. And here are some other hints to find transportation. If you prefere a taxi, here’s a list of the companies : Liste Taxis-Autocaristes 2018. The nearest stations to reach la Puisaye-Forterre are in the cities of Auxerre, Cosne sur Loire and Joigny. To reach the North of the territory : Paris-Joigny within 1h15. 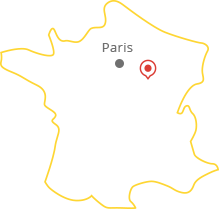 To reach the South of the territory : Paris-Cosne sur Loire within 1h45. To reach the East of the territory : Paris-Auxerre within 1h45. Lyon-Auxerre : 4h00 / Genève-Auxerre : 5h30 / Bruxelles-Auxerre : 4h00. We have regular coaches connecting Paris to Saint-Fargeau,via Saint-Sauveur en Puisaye (round trips available) see : Trajets 2018. From Auxerre : daily shuttles are provided from the train station to Saint-Sauveur-en-Puisaye and Saint-Fargeau via Toucy, see : Trajets 2018. From Joigny : daily shuttles are provided from the train station to Villiers Saint-Benoit via Charny, see : Trajets 2018.